I posted some panoramas of the Golden Gate Bridge in the summer, but I never got around to posting these as well. I’m on vacation this week, and we drove up to Marin County yesterday–the view of the Golden Gate Bridge is spectacular. You can also pan about this panorama of the Golden Gate Bridge at Gigapan. I’m in San Francisco now on vacation. I was last here a few months ago for work. 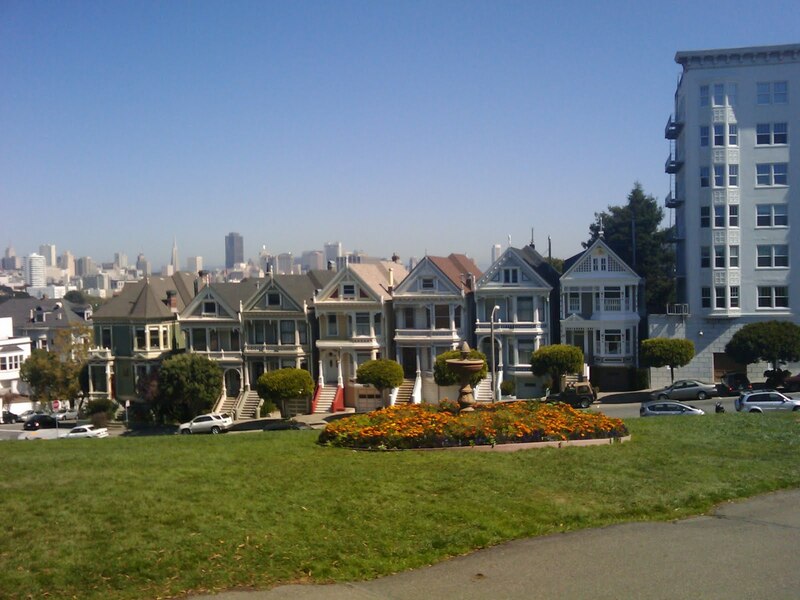 The day I left, I dashed over to Lombard Street, the most twisty street in the Bay Area. While I took a taxi to Lombard Street from the hotel downtown, I walked back over two or three very large hills. From the top of one of the hills, I was able to see Alcatraz in the distance. 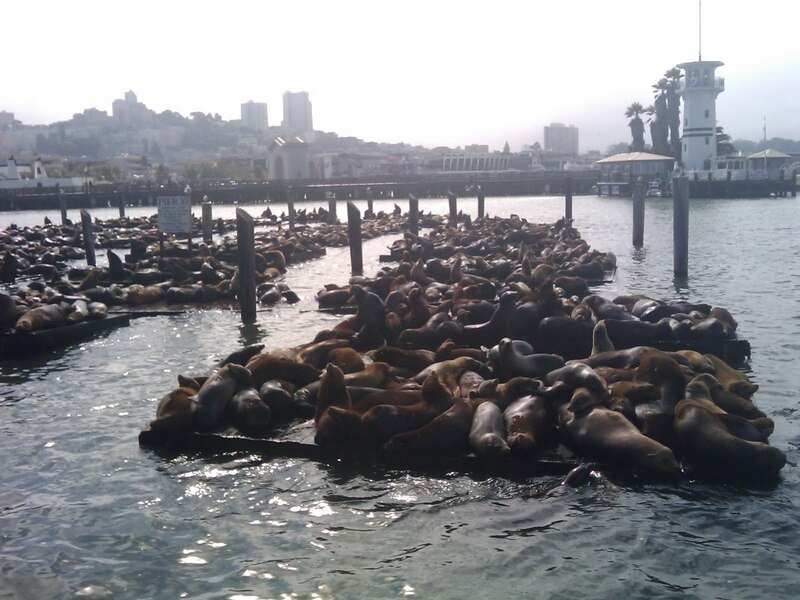 Sea lions battle for dock space in San Francisco. I returned from San Francisco last week. I’ve been to the Bay Area almost four of the past eight weeks; I’m getting to know my new coworkers at Google. While Google is based in Mountain View, I prefer to stay in San Francisco. It’s reminiscent of home. One of the places I ate in San Francisco the first time I visited this year was Incanto, Chris Cosentino‘s shrine to offal meats. My friends and I had a fine time at his Noe Valley restaurant. This past visit I stopped by Boccalone, Cosentino’s meat shop in the San Francisco Ferry Building. I purchased a brown sugar and fennel salame. While I had some of it in San Francisco, I brought the rest of it to my friend Phil and Karen’s house. (Happy Birthday Karen!) The salame is chewy and has a strong fennel flavor. The sugar helps balance the strong flavors of the cure and fennel. Today, I was reading Chris Cosentino’s blog post about receiving a letter from anti-foie gras folks. He and his business partner, Mark Pastore, discussed the letter, and Mark wrote a thoughtful note on the foie gras debate on the Incanto web site. It’s well written, and I agree with the gist of the letter. If you get out to San Francisco, I recommend checking out Incanto and Boccalone. The folks that work at both restaurants are passionate about the food they make and serve, and it shines in the flavor of the food and experience of dining and shopping.